The research project Semantics of History develops a historical ontology and a lexicon that are used in a new type of information system that can handle the time-based dynamics and varying perspectives in historical archives. The system will integrate new insights in the ontological and linguistic analysis of the data that will follow from empirical and fundamental research. The work is carried out by two AIOs that are situated at the Faculty of Exact Science and the Faculty of Arts and is funded by the Interfaculty research institute CAMeRA. History is typically a record of different realities in time and specifically focuses on the changes in reality. Even stronger, the perception of history can be different for different participants and for different cultural and linguistic groups. Finally, the reflection on the past can be different based on our different views: history has been and will be re-written many times. Information systems of historical archives should handle the dynamicity in time and represent all realities at an equal level while at the same time they should define the relations, the invariables and changes across the realities. The units of change are events and typically in history events can be organized at different levels of change. The most constant elements are locations, people and dates but nevertheless many different structures are still possible, which need to be related relative to these more constant elements. Such a system should also allow users to classify and structure reality from any possible perspective when accessing the archives. Vast amounts of historical data are available as free text. The text itself can be related in time just as the events. For direct reporting and communication in the same time-frame there will be little distance between the communication date and the event date. Historical documents on the other hand have a large distance between reporting and event date. We also expect that the linguistic expression for naming these events will be different; exhibiting high abstraction and others types of perspectives in historical reports as compared to actual news reports. 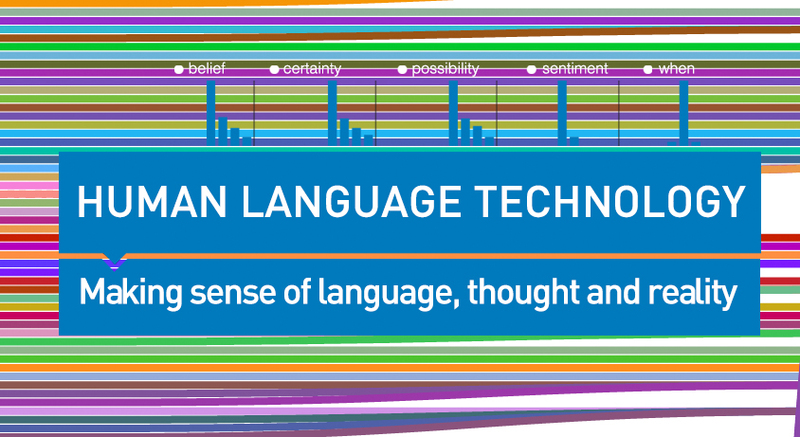 A historical information system requires an innovative view on the semantics of events and the ways we can conceptualize these through language in different genres of documents.